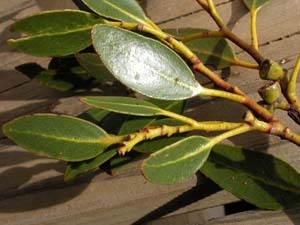 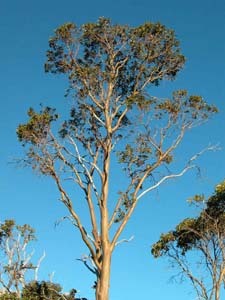 Eucalyptus subcrenulata (yellow gum) is closely to E. johnstonii and E. vernicosa, and has the thick, dark green leaves and yellow-green bark of this group. 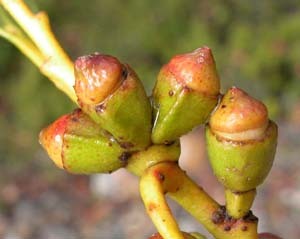 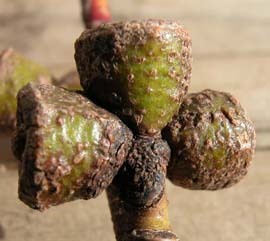 As a species, it can also be confused with E. urnigera, which however has urn-shaped capsules. 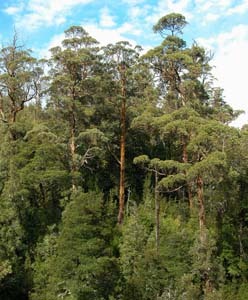 It is quite variable in form, ranging from a straight tree up to about 60m tall growing in mixed forest, to a mallee-form subalpine shrub.